What we are all looking forward to. 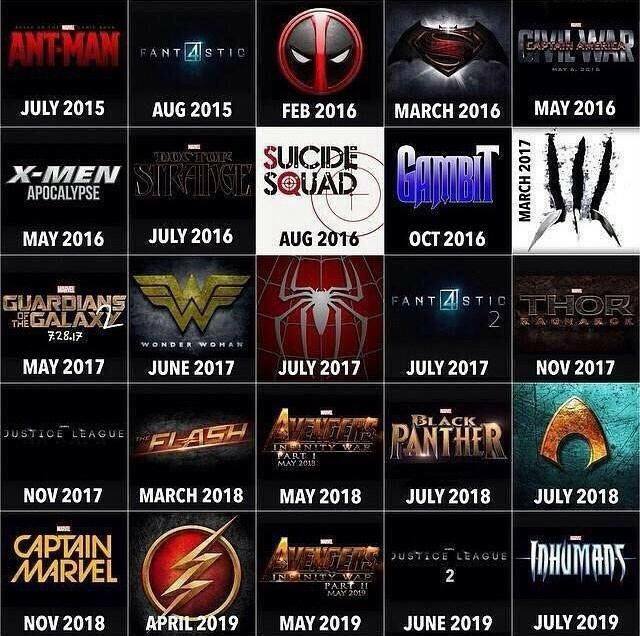 With all of this to look forward to, what else could a fanboy/girl need? What do you look forward to most on this line up? Don’t forget to like and comment below, also Follow us on Twitter and Like us on Facebook! This entry was posted in Movies and tagged batman, dc, marvel, movies, superhero. Bookmark the permalink. ← New Arkham Knight Gameplay video released.